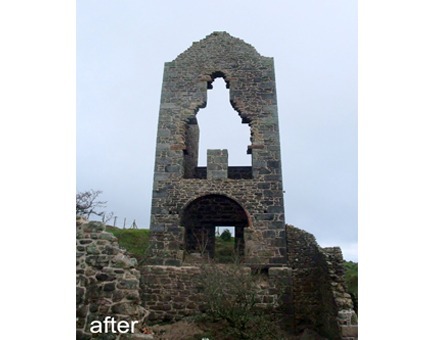 Holman’s Shaft pumping engine (built circa 1875) is the most imposing engine house on the South Caradon Mine. 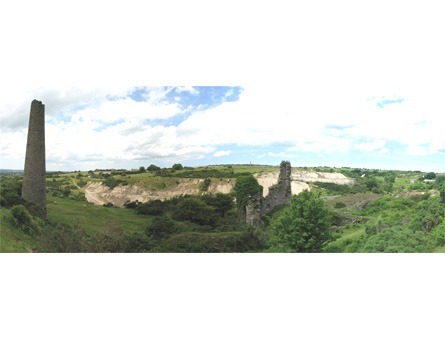 It dominates Caradon Hill’s southern slopes and is well known locally for having the “Man in the Mine” shaped collapse in its western wall. This collapse was due to the failure of the decayed timber lintels that supported the masonry over the various openings in the wall. From the outset the “Man in the Mine” was deemed an important feature to maintain and doing so posed a considerable structural challenge. 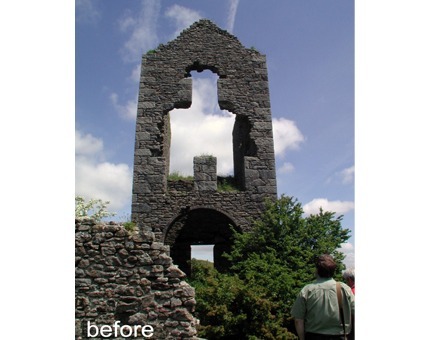 pdp Green developed a remedial solution with low visual impact. 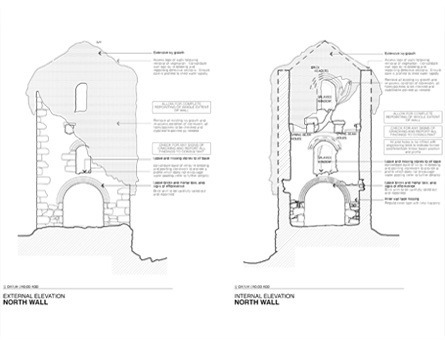 The collapsed sections of masonry were reinstated using fallen stone and lime mortar, utilising a system of helical stainless steel bars and oak lintels (rough sawn to appear broken where required for aesthetic purposes). The result is a structurally stable, well consolidated engine house, which still maintains the iconic “Man in the Mine”.